The freestone rivers and streams that run through the Greater Yellowstone Ecosystem are some of the most fabled and majestic in the world. The Madison, Gallatin and Yellowstone are just the beginning of the list, and they are the headwaters of thousands of miles of rivers that eventually flow to the Mighty Missouri and Mississippi Rivers and the Gulf of Mexico. Yellowstone National Park, hands down one of the world's coolest places, anchors this geographic region and it's tall snowcapped peaks set the backdrop to many of our days on the water. Classic western towns like Bozeman, Big Sky, Livingston, Ennis, West Yellowstone and Gardiner are the hubs of culture for this area, and there is more than enough fun to go around in these spots if that's what you're looking for. The options for lodging, dining and non-fishing activities (white water rafting, rock climbing, horseback riding, art collecting, museum strolling, etc. ), are incredibly abundant. There is something for everyone in Yellowstone Country, especially if you like a little outdoor adventure and the sound of moving water. The fishing options are equally as bountiful. 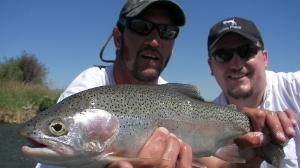 Driftboat fishing is the norm on many of our larger rivers and private lakes, but we also wade fish a good number of small creeks that we don't talk much about until we've got you in the car and blindfolded. 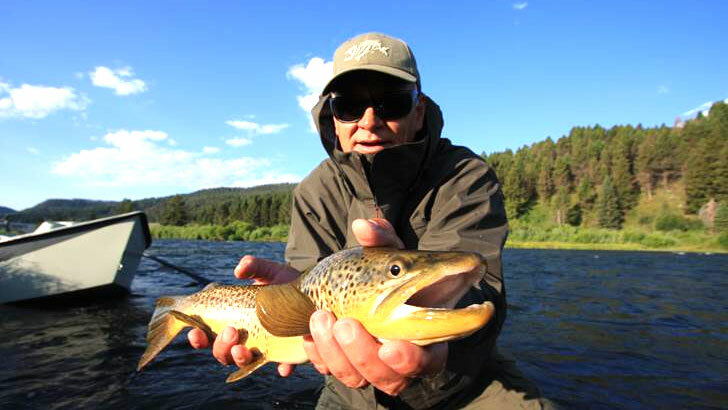 When spending a number of days in the Yellowstone area we highly recommend a sampler plate of fishing options so you can get a true taste of what the area has to offer. 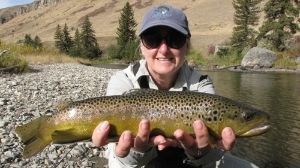 We call this our Montana Trout Tour, and it is the best way to explore the area and get the full Montana experience. 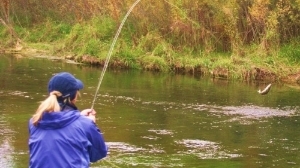 This area receives more tourist visitors that any other part of Montana, and for the do-it-yourself angler there are lots of easily accessible roadway fishing spots to wet a line. 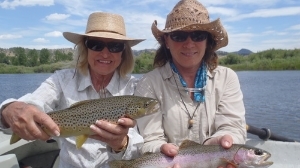 But like many others have found, especially in a place so popular for fishing, having a pro guide lead you to the secret hotspots is well worth the investment.